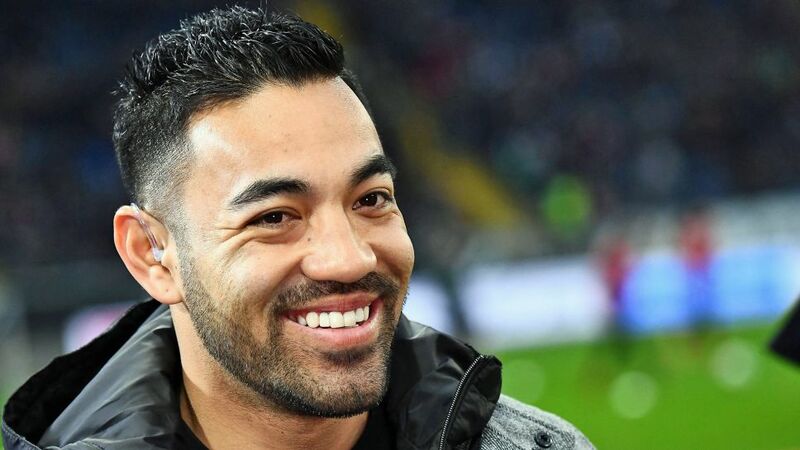 After missing the entirety of the Bundesliga season so far, Eintracht Frankfurt midfielder Marco Fabian is itching to return to action and propel the Eagles to a successful second half of the campaign. A knee injury suffered during the summer necessitated an operation, but complications have since led to back and neck problems for the Mexico international, whose last competitive outing came for his country in the FIFA Confederations Cup third-place play-off against Portugal in July 2017. The Eagles have missed Fabian in his absence, with the side's creativity deficit evident, and head coach Niko Kovac has set an expected return date of early February, although the player himself said during Frankfurt's 1-1 draw with Freiburg on Matchday 18 that he is hopeful of a comeback later this month. Watch: Click play on the video below to enjoy Fabian's top five Bundesliga goals! Whenever it happens, it has been a long, arduous road to recovery for one of the Bundesliga's most talented attackers, as the Mexican himself admitted in a recent interview with the club's official website. "I have had to come through several difficult moments in the last year," Fabian said. "Of course, nobody wants to experience anything like that, but fortunately it's behind me now ... I can't find enough words to thank all the people of Frankfurt who supported me, who made me feel at home. "I'm happy to be part of this team," Fabian said, before re-affirming his desire to repay the club for the faith they have placed in him. "My head is here ... My mind, my body and my heart are in Frankfurt and so I'll continue to give everything for this team." Fabian, 28, arrived at the Commerzbank Arena in January 2016 from Mexican giants Chivas Guadalajara, but had to come through a difficult initial bedding-in period with the club battling to stay afloat in the Bundesliga, eventually avoiding the drop courtesy of a 2-1 relegation play-off victory against Nuremberg in May 2016. Last season, however, the attacking midfielder showed Bundesliga audiences why Frankfurt had swooped in the first place, returning seven goals and four assists as Eintracht finished 11th and reached the final of the DFB Cup, losing 2-1 to Borussia Dortmund in the Berlin showpiece last May and missing out on a European place. With the Eagles set to face local rivals Mainz in the DFB Cup quarter-finals and sitting handily in ninth in the league, that is something Fabian is determined to rectify this time around. "We will try to make the dreams that we have as a team come true and continue to be successful," Fabian said when quizzed about Frankfurt's aims for the remainder of the campaign. "We played a good first half of the season and should have learned from last year. If that happens, we can look towards qualifying for international competition. That's a dream I have with this team." Another dream is representing his country at another World Cup (Fabian featured in every group game in 2014), and, if fit, Fabian, who found the net in El Tri's 4-1 defeat to Germany in the Confederations Cup semi-finals, is a shoo-in for the Mexico squad. "This year, 2018, will be a very important year for me," Fabian said. "I'm now at my peak in football terms and want to play a successful second half of the season with Eintracht. Afterwards I would like to be with Mexico at the World Cup and achieve something there. In order for this to happen, I have to give it my all, be strong and play well with Eintracht."